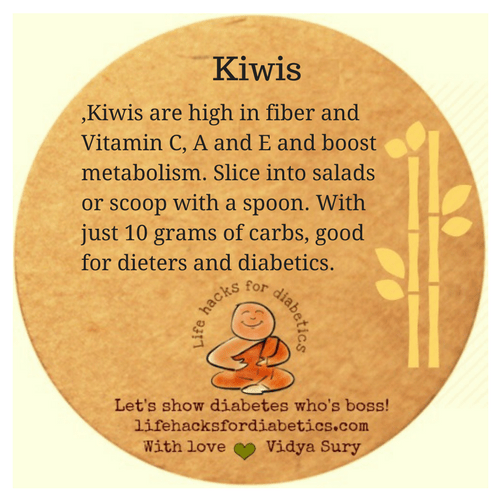 Kiwis are high in fiber and Vitamin C, A and E and boost metabolism. Slice into salads or scoop with a spoon. With just 10 grams of carbs, good for dieters and diabetics.